But you are not gonna be told that. RUSH: The liberal campaign against the NRA has successfully pressured some companies to sever their partnerships … but it’s having another, unintended effect: galvanizing conservatives who feel the NRA has been unfairly attacked. … [M]any on the right are rushing to the NRA’s defense,” and many are abandoning these businesses which are abandoning the NRA. They are hearing from Americans the media doesn’t know exist, and the media’s not reporting, and they are hearing in even greater numbers than the left-wing bot boycott programs on Twitter and Facebook that they’re never flying United again or Delta, whichever airline it is. They are hearing from Americans opposed to this in greater numbers than they are hearing from the pro-boycott crowd. But you are not gonna be told that. That will not be reported. That’s gonna be entirely completely ignored. But the evidence that it’s happening is FedEx. 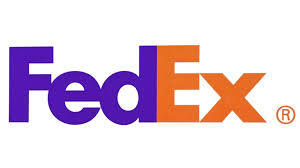 FedEx told the boycott people to basically pound sand. That they’re gonna continue their existing relationships and they’re not gonna be bullied into changing their business model and business plan. FedEx wouldn’t be doing that if they weren’t confident that they’ve got the support of their customer base. … this so-called NRA boycott is. It’s a bot attack. The vast majority of so-called tweets and emails that these businesses are getting from people claiming to never fly the airline again or utilize the business again, I know exactly how these campaigns are created. I know exactly how many people are being used to make these bots, 10, 20 people made to look like 10 or 20,000.